Take a look at the Chicago venues that took the meetings and events scene by storm in 2017. Chicago has always been a city of innovation (think skyscrapers and Cracker Jacks) and a solid bet for fresh and exciting happenings. Chicago&apos;s meetings and events landscape is no exception, welcoming a host of new options ranging from restaurants to event venues. Here&apos;s a roundup of the most popular venues in 2017. At the stylish, two-story Fremont in the heart of River North, go from an eclectic dining experience to elevated nightlife with three bars and a retractable rooftop. The space holds up to 600. Chicago&apos;s West Loop is where the American steakhouse was born, and Swift & Sons takes this heritage a step forward. An elevated dining room, two private dining spaces, an oyster bar and taverns are part of the multi-level floor plan. Located at the gateway to River North, The Kitchen bistro is filled with natural light, reclaimed wood, historic details and river views. Up to 187 can be seated, and a private dining room holds 40. In the South Loop, Revel Motor Row is a historic Spanish Revival-style venue with beautiful Art Deco details and an outdoor courtyard that will accommodate 1,000 guests for a seated dinner/2,600 cocktail reception. In downtown Chicago&apos;s West Lake District, Eden offers creative New American fare with a fresh Mediterranean twist, along with two private rooms that seat up to 36 and 45 for a reception. Chicago&apos;s GT Prime offers a meat-centric menu of creative small plates in a sleek steakhouse atmosphere. Book the Owl Room, perched above the open concept kitchen, for 16 guests; the intimate Chef&apos;s Table for eight; or buy out the entire restaurant for 100 seated guests/150 reception. 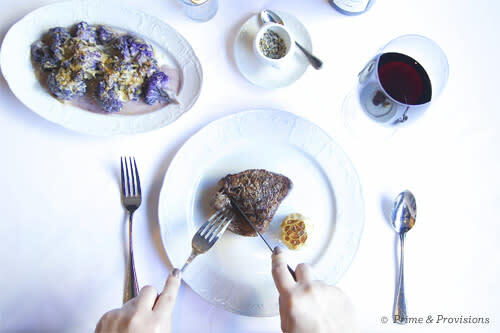 Located in The Kimpton Gray Hotel, Steadfast offers tasting menus of New American food and a carefully curated global wine program. Choose from two private events spaces: a 25-person private room that sits inside a historic marble room overlooking the open kitchen and a semi-private area that seats 40. 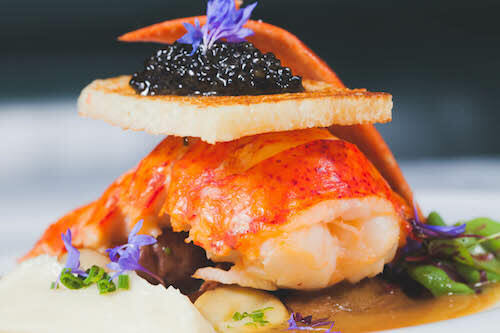 Situated in the Art Institute of Chicago&apos;s stunning Modern Wing, Terzo Piano features the Mediterranean cuisine of James Beard Award-winning Chef Tony Mantuano. A recent renovation included a redesign and chic new furnishings. Large parties of up to 475 can rent out both the restaurant and Bluhm Terrace. Semi-private dining is offered for groups of 25-150. The fun Punch Bowl Social entertainment and dining complex, complete with bowling lanes, karaoke and vintage video games, is slated for an October opening in the West Loop. The Publishing House Bed & Breakfast in the West Loop offers a complete buy-out of its 11 modern en suite rooms (with a three-night minimum stay). 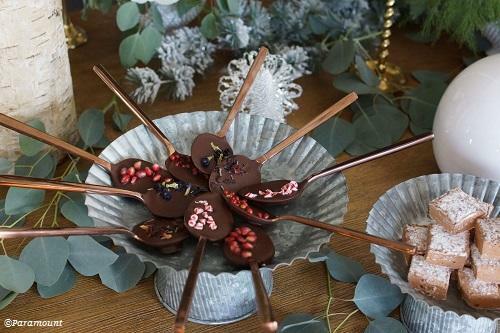 For these groups, The Publishing House can provide its own private chef services for a catered dinner in its beautiful Great Room, which features a double-sided fireplace and baby grand piano. Also on site is The Press Room wine bar (available for private events) and Solo Salon. Located on the 29th floor of The Franklin high above the West Loop, R29 is a sleek and attractive event space with rich woods, a lush color scheme and room for up to 200. Round the Table Hospitality (which includes Blue Plate Catering) opened Larkin Hall, an 80,000-square-foot, three-story building in the Fulton Market District that will offer tasting rooms and multiple private event spaces, including a glass-enclosed rooftop. The 16,000-square-foot Savage Smyth event space in artsy River North, perfect for anything from a runway show to a product launch, boasts a chic rooftop deck with a Chicago skyline view. 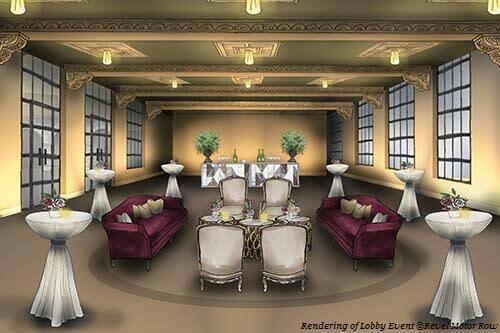 Adjacent to the prominent Loop steakhouse Prime & Provisions, Builders BLDG brings beautiful design and a prestigious landmark location to intimate dinners of 150, glamorous cocktail receptions for 1,000 and every event in between. 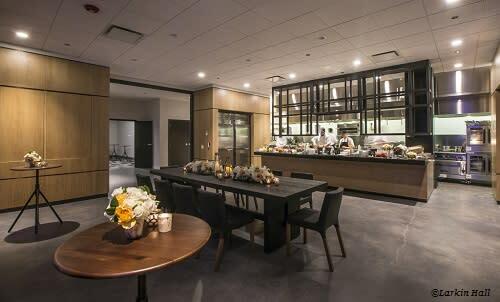 The Lakewood in Chicago&apos;s West Lake District is an uber-modern, loft-style space with on-site catering by Paramount Events that seats 225 for dinner or 500 for a cocktail party. An adjoining lot offers space for plenty of parking. 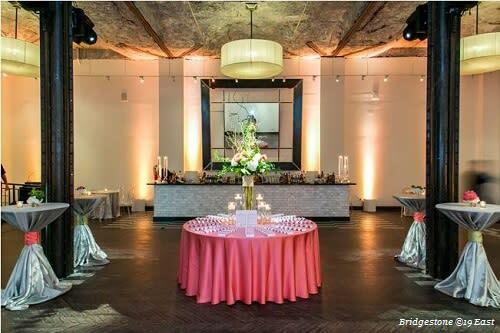 Managed by the special events experts at Food for Thought, 19 East is a historic 10,000-square-foot space in Chicago&apos;s South Loop neighborhood. 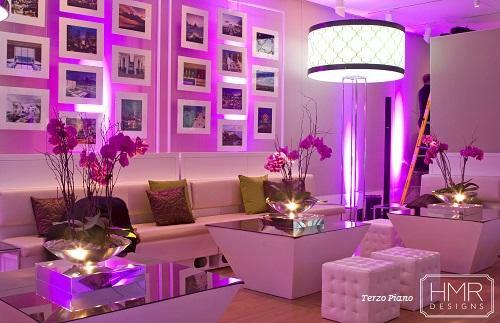 The venue&apos;s four different rooms boast built-in marble bars, high ceilings and beautiful mosaic tile, and can be configured to host up to 500 guests. Gibsons Restaurant Group is planning a fall opening for its new Italian steakhouse atop the high-rise River Point Building that will feature a retractable roof with panoramic Chicago River views. Vertiport Chicago, a 10-acre private heliport adjacent to University Village and Little Italy, features a hangar, three large bays that open out onto a large tarmac, smaller spaces and private helicopter tours. The Railcar Club is a new Loop venue that hosts up to 80 seated and 120 for cocktails with a classic steakhouse menu. 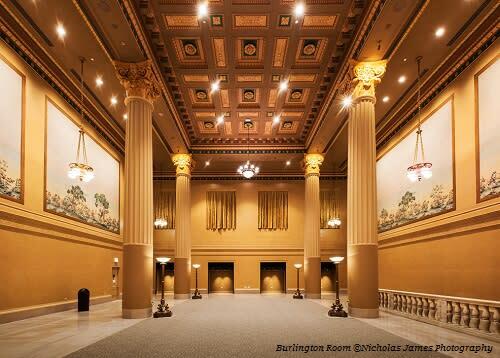 The ornate Burlington Room at Union Station is a soaring space with stately columns and antique French block murals that accommodates up to 260 people for private events. For a bit of chrome and chronology, book the Klairmont Kollections, a 100,000-square-foot facility that displays more than 300 classic and antique automobiles.